One of my mom's favorite dessert is a key lime pie, so it was the obvious choice (that I almost forgot about) to make for Mother's Day. She has this really simple recipe that uses just egg yolks, sweetened condensed milk, lime juice and zest, and a meringue topping. We vary between the meringue topping and a simple whipped cream topping, though this time I made the meringue with less sugar and folded it into the filling for an airier consistency. The recipe has you whip one egg white and fold it into the filling anyway, so I figured adding the entire meringue might give the pie a new twist. 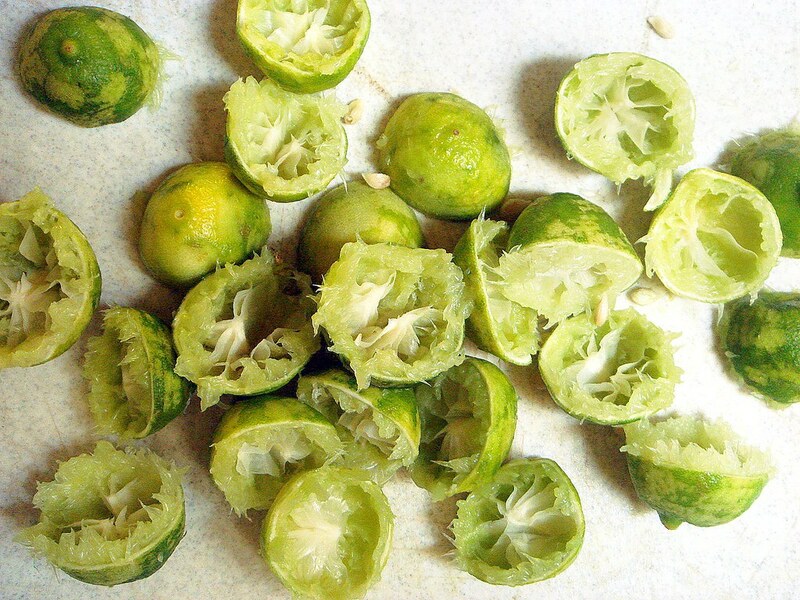 By far the worst part is juicing all the tiny little key limes. I'm sure there was an easier way than using the juicer I use for lemons and more sanely sized limes, but of course I wouldn't have used the easier way. 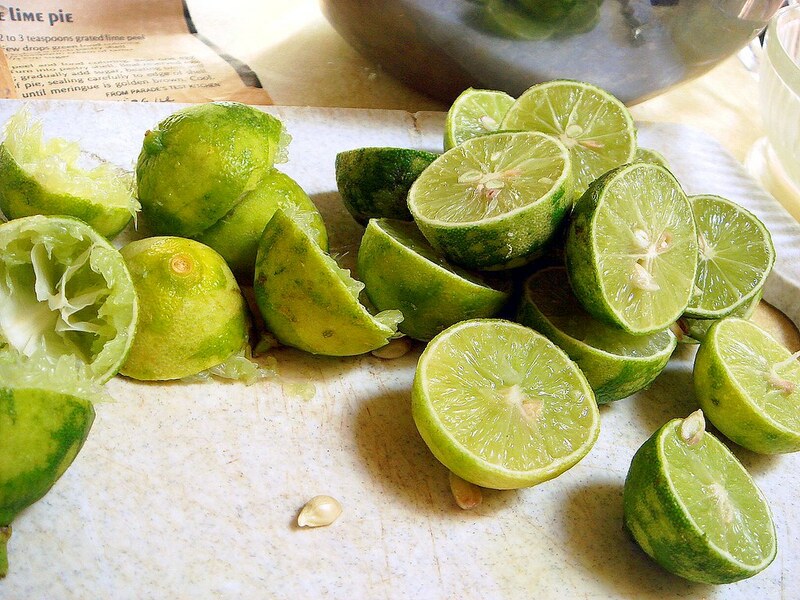 If I ever have kids and need to punish them, forget the corner, time out, or soap in mouth, I'll simply sentence them to juicing an entire bag of key limes. For the crust, I typically go for a shortbread cookie crust over a pastry or graham cracker crust. Actually, making a crust using homemade graham cracker crust would be excellent. 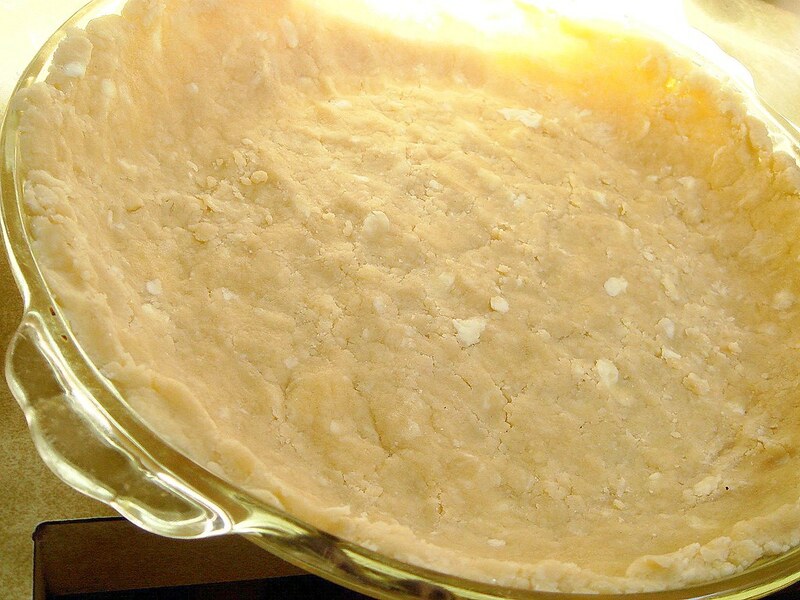 But this time I chose the incredibly simple no-roll pie crust from Joy the Baker. 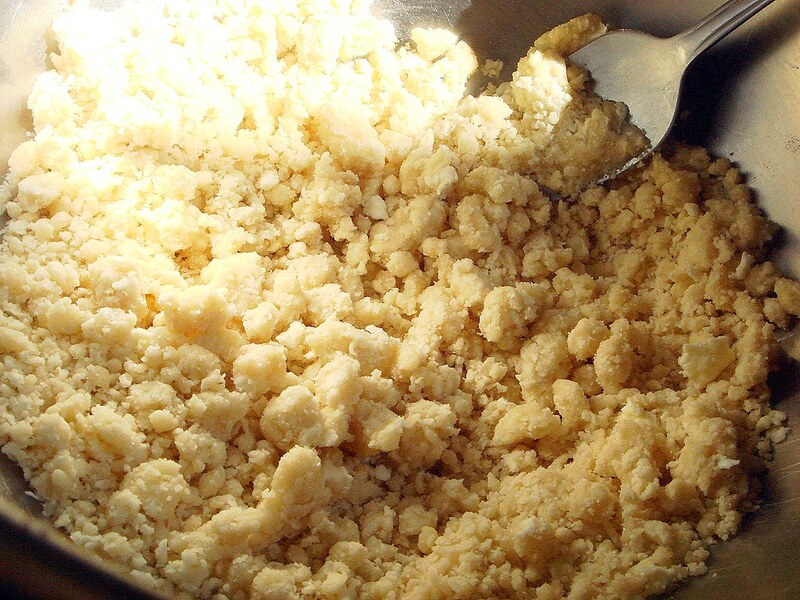 Her technique is to grate frozen butter and add it, along with a bit of softened cream cheese, to the flour mixture (which includes salt, sugar, and a little baking powder). 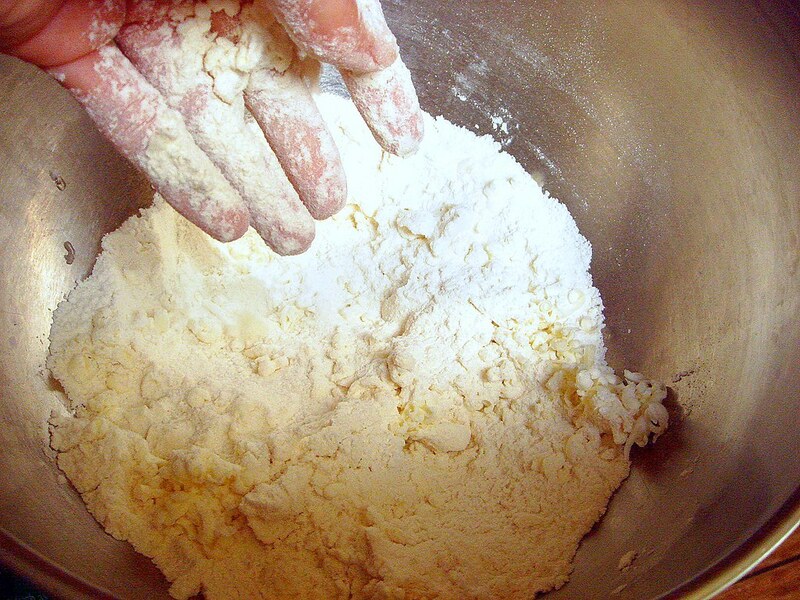 You then mix together oil and cold milk and toss it in the flour-butter mixture until cohesive clumps of dough comes together. After that, you press the dough into the pie dish, freeze it, then bake. 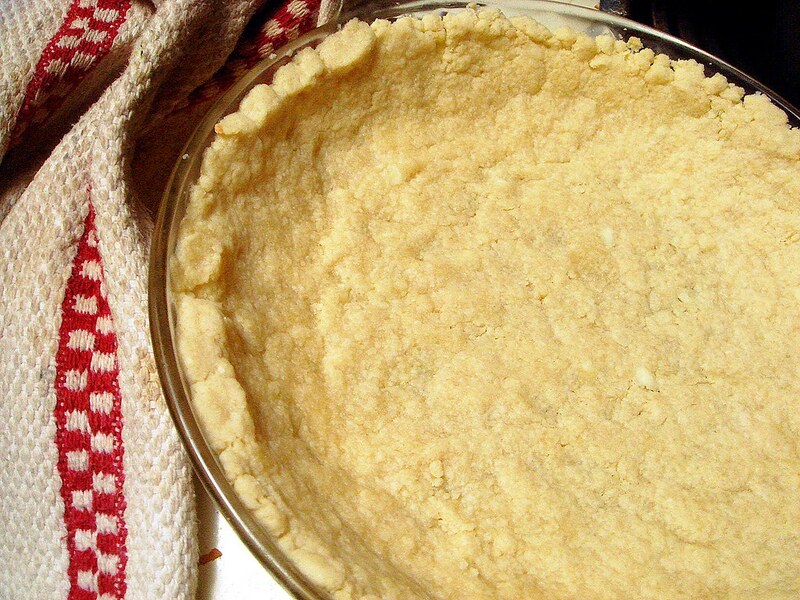 When she says this is the simplest pie crust ever, it really is! My problem with pie crusts is that, no matter how carefully I try not to overwork the dough, the crust shrinks down. This happens with par-baking the crust, or using it straight. The beautiful crimp loses its design, and I get sad. Well, there was no worries about crimping here, and after blind baking the crust it didn't noticeably shrink a bit. 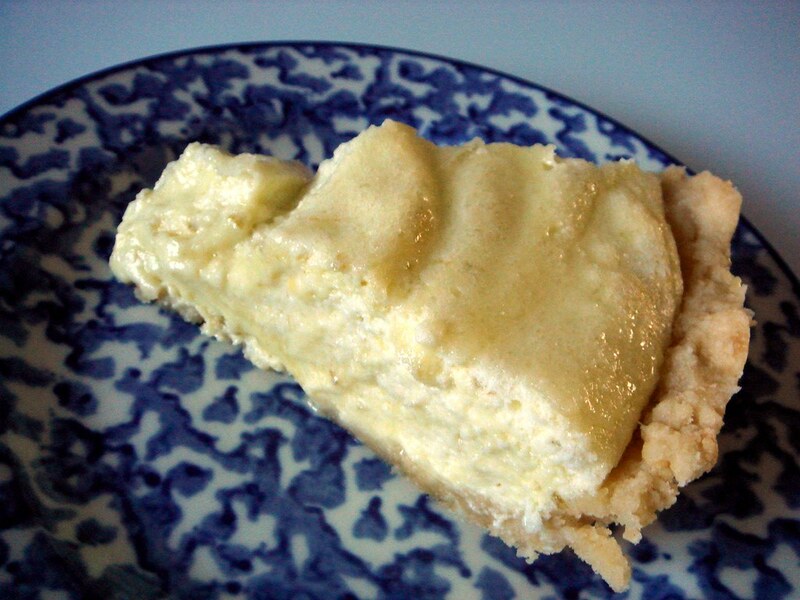 The texture wasn't as flaky as regular pie crust, but it was light and had a bit of a soft shortbread consistency. After the pie crust cooled a bit, I made the meringue and folded it into the filling. After a sprinkling of sugar, I put the pie in the oven to bake for 15 minutes. The recipe says to bake to brown the meringue, though I figure it helps the filling as well so I kept the time at 15 minutes, or until the filling jiggled a bit but was firm to the touch. The end result was a beautifully puffed filling with a sugary crust on top. The swirls added a decorative touch, too. Unfortunately, I made the mistake of refrigerating the pie after it cooled, which caused the crust to become soft and the filling to weep, so possibly it wasn't entirely cooled before I stuck it in the fridge. I'm not sure if it needed to be chilled at all, really. Look at this freaky cow. How Elsie the cow with a ring of daisies around her neck can be trusted by millions of Americans for years, I'm not sure. The pie came out just as good as always, though we decided not to add the meringue to the filling next time. We like the richness that seemed to be missing this time around, though the flavor was still there. I would, however, use this method to make mini tarts since the puffy filling would make them look really pretty. Did you guys bake anything special for Mother's Day? Preheat oven to 350°. 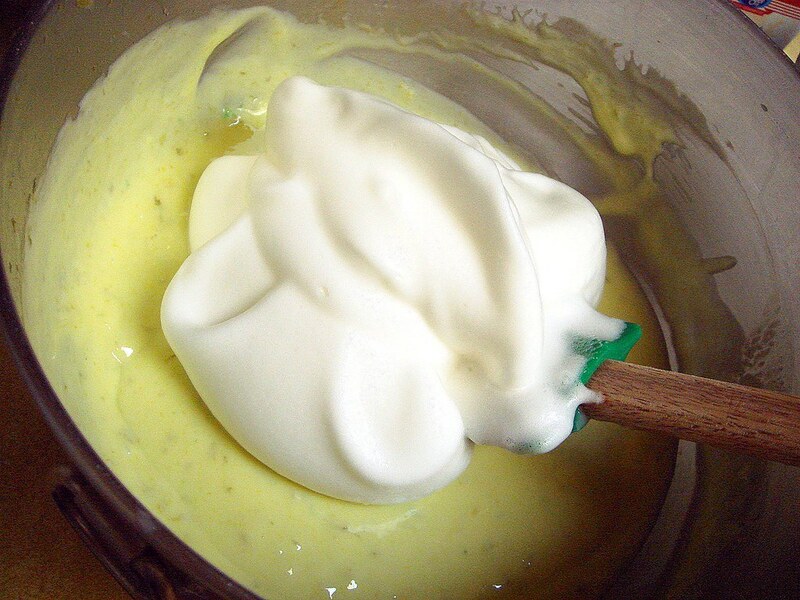 Beat egg yolks; stir in milk, lime juice, peel and food coloring. 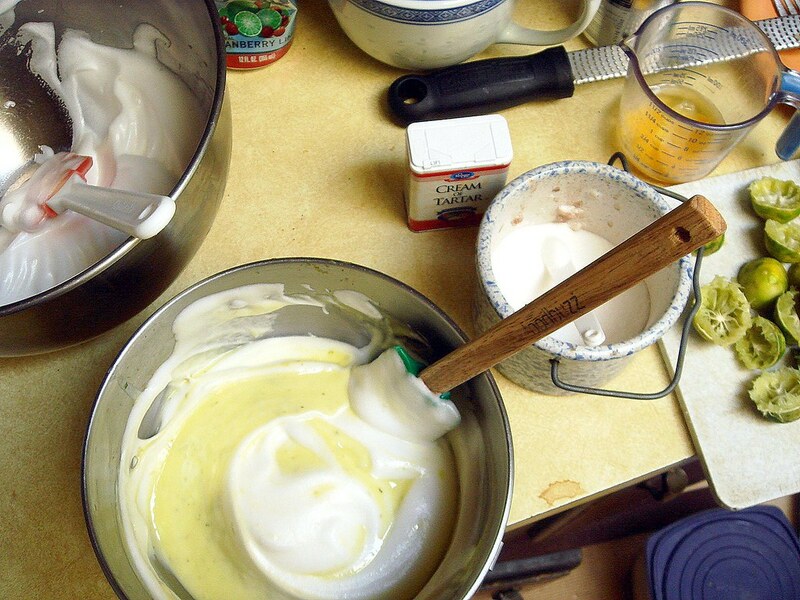 Beat one egg white until stiff; fold into milk mixture. 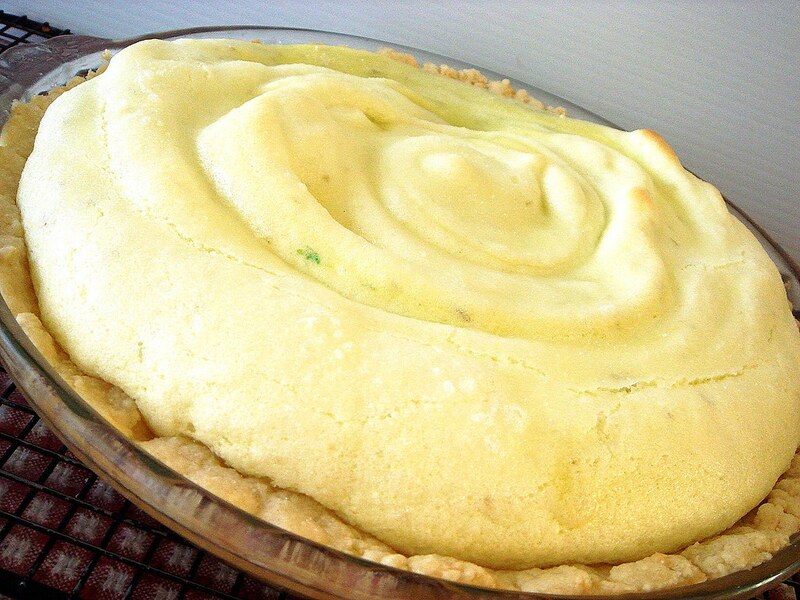 Pour into pastry shell. 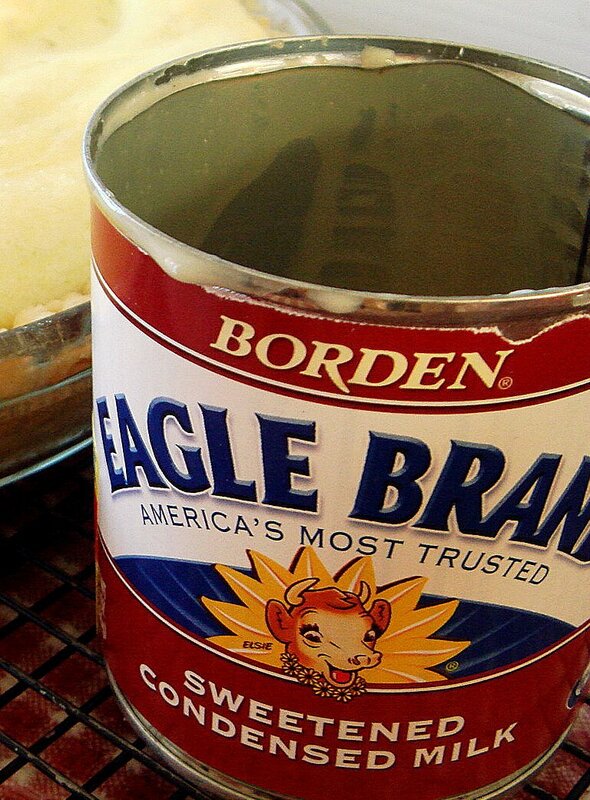 Beat reserved egg whites with cream of tartar until foamy; gradually add sugar, beating until stiff but not dry. Spread meringue on top of pie, sealing carefully to edge of shell. Sprinkle with additional sugar. Bake for 15 minutes or until meringue is golden brown. Cool. Chill before serving. 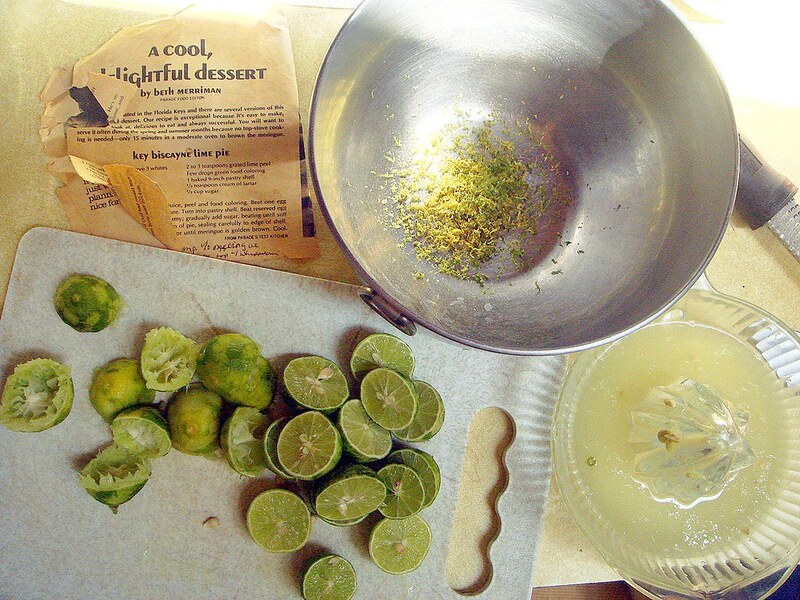 I've yet to make or even try a Key Lime Pie. I'll get around to it one day. I did make something for Mother's Day, a No-Bake Chocolate Cheesecake. I made the crust from scratch, but it was easy since it didn't involve rolling anything out. Ry and I prepared a mini-bbq feast for his mom. Steak, grilled "stuffed" tomatoes, steamed carrots and broccoli, sweet potato and parsnip fries, and fried onions! Yum yum yum! 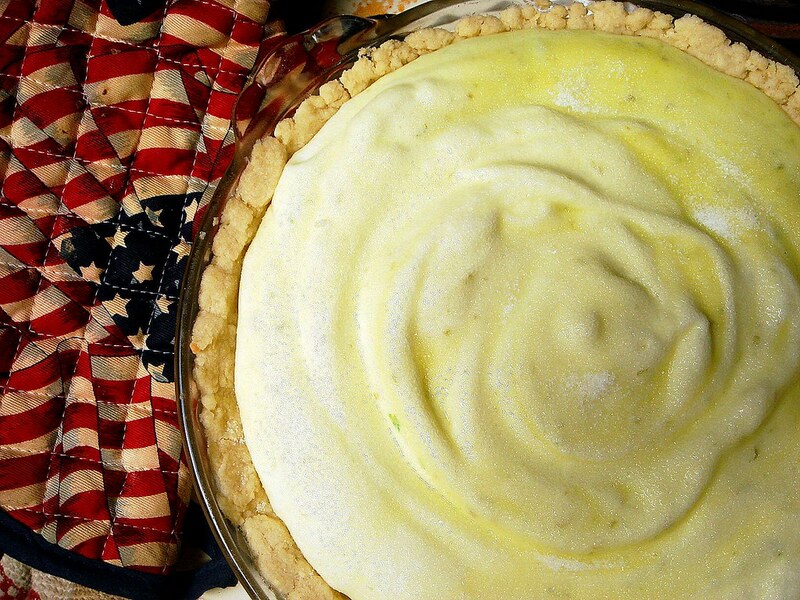 Your key lime pie looks delicious! I didn't make anything special on Mother's Day, but I'll probably do some baking while I'm home visiting my mom in June. This key lime pie looks awesome, and I'm excited (exhilarated!?) to try the pie crust. Mmmm! Sarah-Mae ~ Ooh, I want the stuffed tomatoes and parsnip fries! Sounds like some great eats. Mica ~ That'll be fun! And yes, I was overjoyed when I first read about the crust, too. 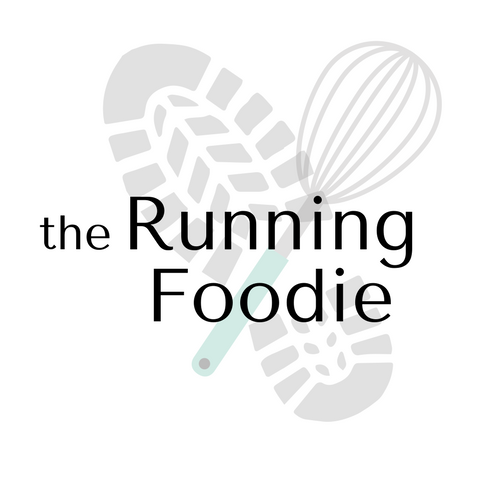 You know, I think as bakers and cooks we always feel like we're "giving less" if we buy something, though it's often an unnecessary pressure we put on ourselves to think that we have to make everything from scratch.